Kelly and Ian are dance photographers specialized in both marketing photography and performance photography. On paper, it was strange and didn’t make sense. 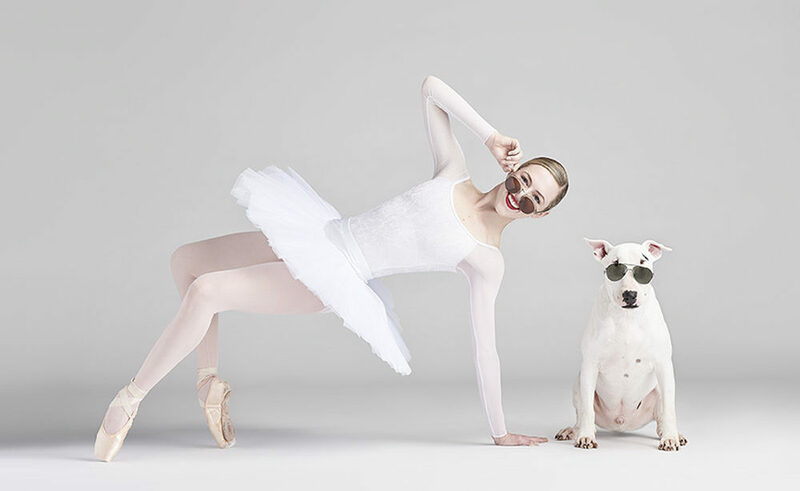 Why dancers and dogs? But luckily they went with it! Their first duo was Ericka and Baxter, an English Bulldog, who belongs to a friend. They captured just the results they were hoping for – clean and elegant pictures, that are sweet and funny. and they felt like this project could help people to see the lighter side of dancers. The goal: 100 Dancers & 100 Dogs. The project is still running and we don’t know how long that will take. But for now we are surely having fun.